There are many a-times when we travel that we have seen things that make our jaws drop. There are other times where we’ve been disappointed because something is an anti-climax! And then there are times where we are so utterly speechless after seeing something that is simply mind-blowing, so much so that we are overcome with emotion that brings tears to our eyes. The moment where we pinch ourselves and say to each other, “Oh-mi-gosh! We are really here. And seeing this in real life and not just in pictures!” So what the heck are we raving about? 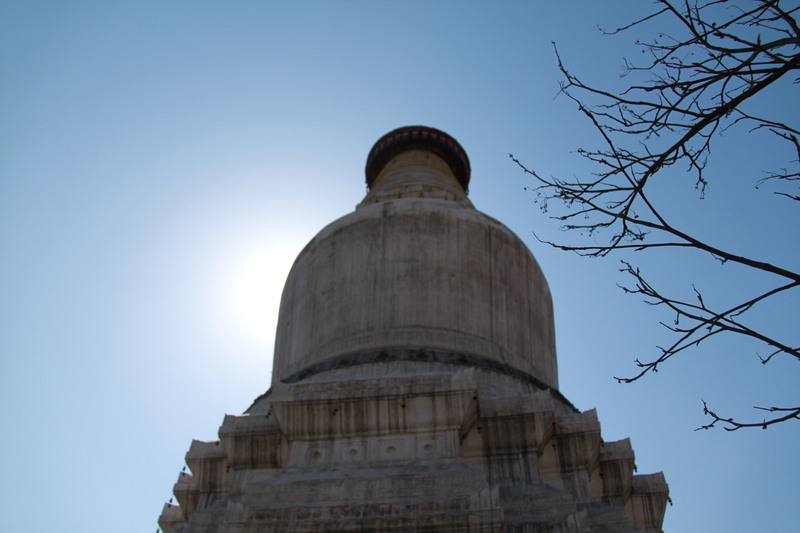 Imagine a temple built 1500 years ago with elements from Buddhism, Taoism and Confucian. A very picturesque temple, narrow and sparse on internal space, but picturesque all the same. Now imagine that same temple elevated 75 metres above ground, not a high-rise, not sitting on top of a mountain but built into the cliff face of the mountain and held in place with some wooden logs. 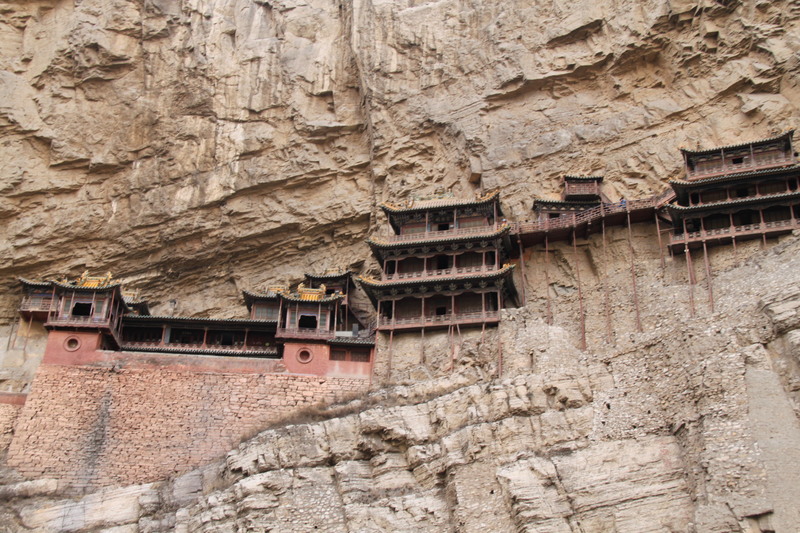 This is the Hanging Monastery (nearest city is Datong). 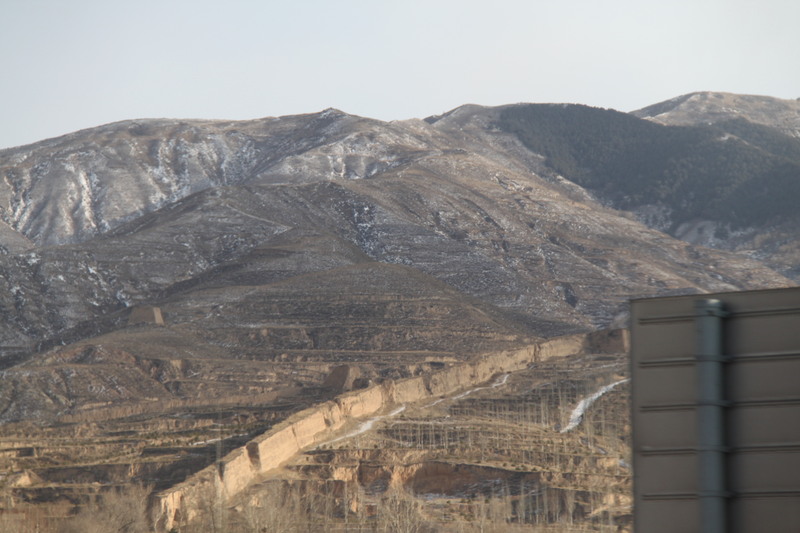 The Great Wall of China and the Terracotta Warriors gets a lot of tourist attention but worthy of nudging those two aside is definitely the Hanging Monastery. To be fair, it could have been that due to the few tourists there that made the experience all the more gratifying! To think about, if there were a lot of tourists swarming the place, we probably would’ve thought twice about climbing through it – would that structure hold us??! So fortunately the low numbers gave us confidence to climb and climb…. although a little unnerving as the winds were fierce and blowing a-gale and step too close to the ledge and that would’ve been the quickest route back to the coach! Never in our wildest dreams would we have thought that we would be here and done that! After that experience, it definitely has rocketed up to number one as our most favourite historical site EVER (yep, a pretty big call). Visiting the first Buddhist temple in China. 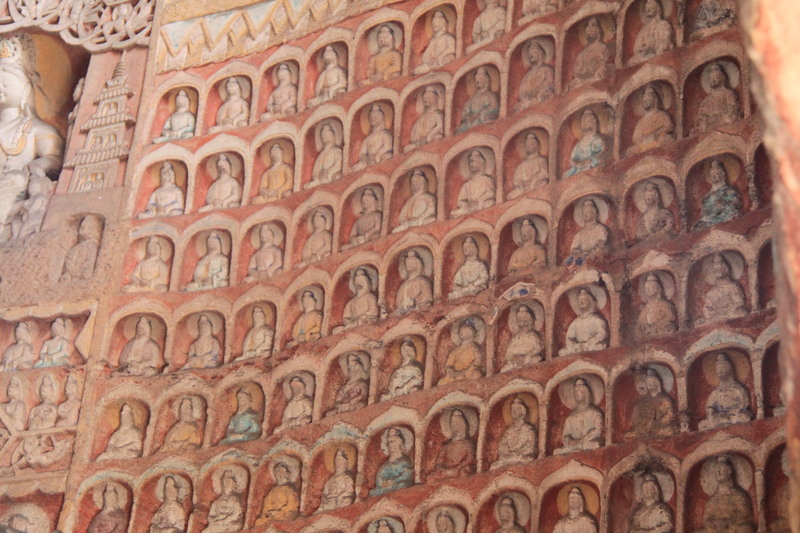 This entry was posted in Asia, China and tagged China, Datong, Hanging Temple, Yungang Grottoes.